something light and delicious, originally uploaded by aarn! +1st July, 2008+. 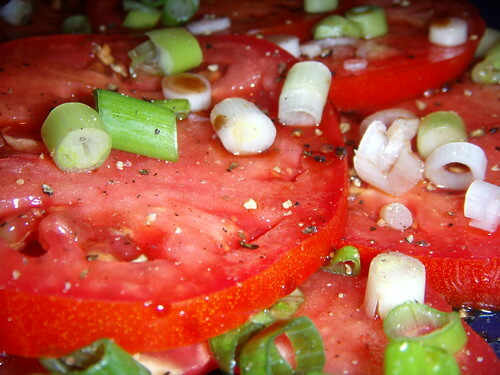 trisha tossed a large tomato from johnnie's market in balsamic and olive oil and sprinkled salt, pepper, and green onions on top. the perfect thing to wash down a heavy steak sandwich on a muggy day.